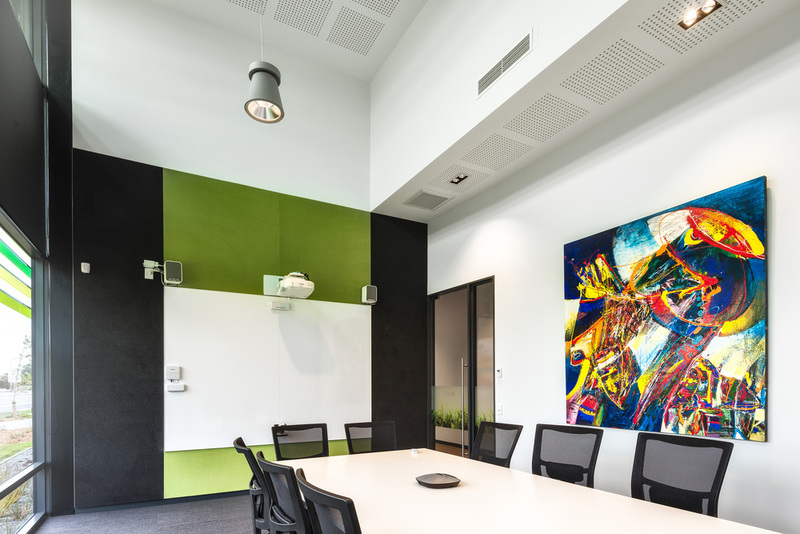 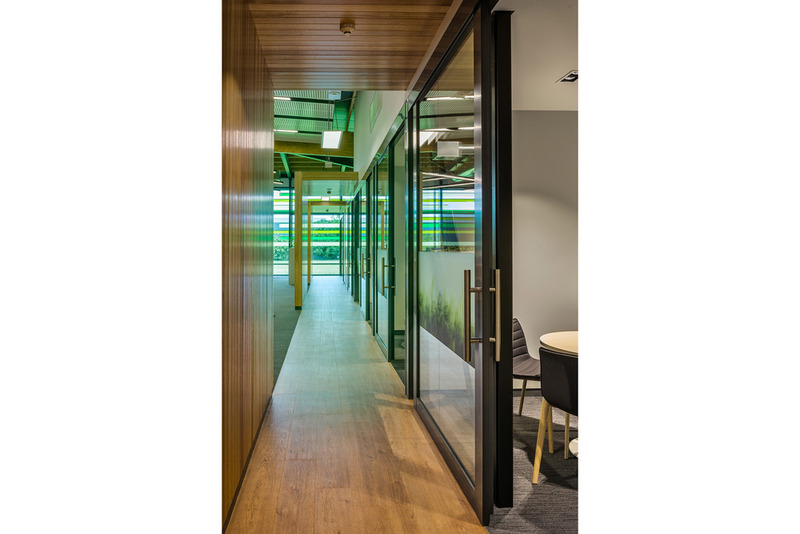 The client was looking for a new headquarters to reflect their new branding and house their management and organisational teams. 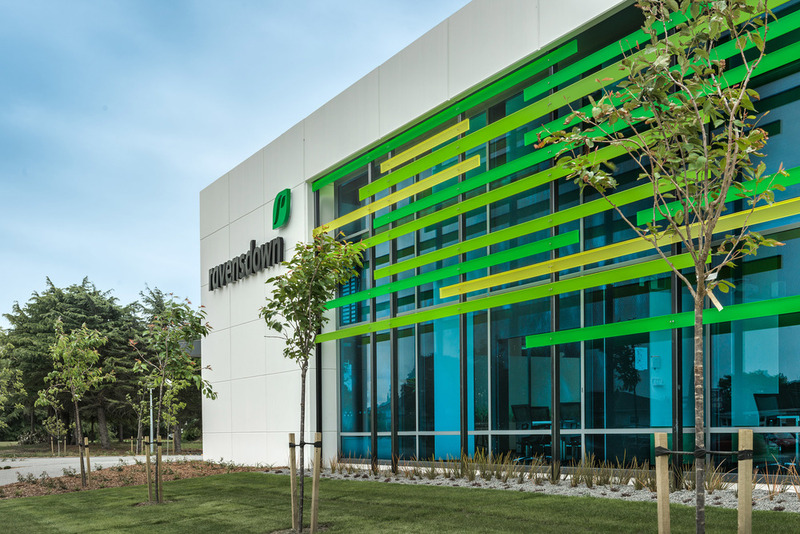 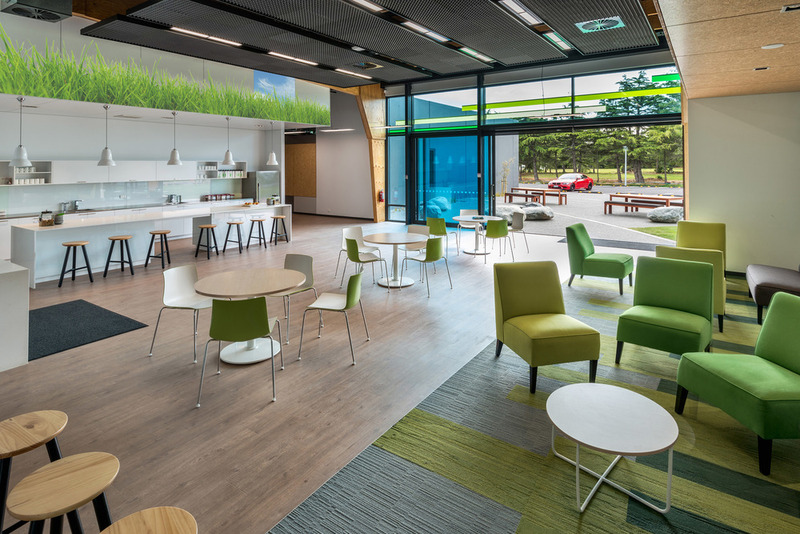 With a large high profile site in Christchurch, we set out to create a working environment that reflected the company.Their brand and product focus influenced both the building and interiors that we considered carefully to reflect the organic nature and vibrancy of the company and its values. 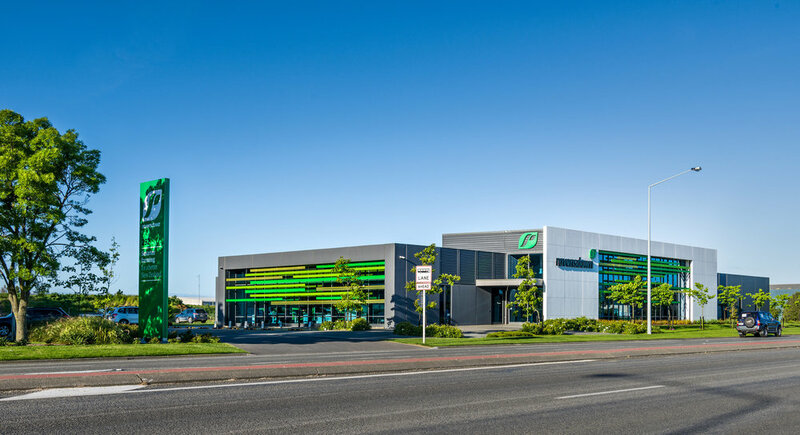 The T-shaped building has reception at the junction, reinforcing that the customer is central to all they do. 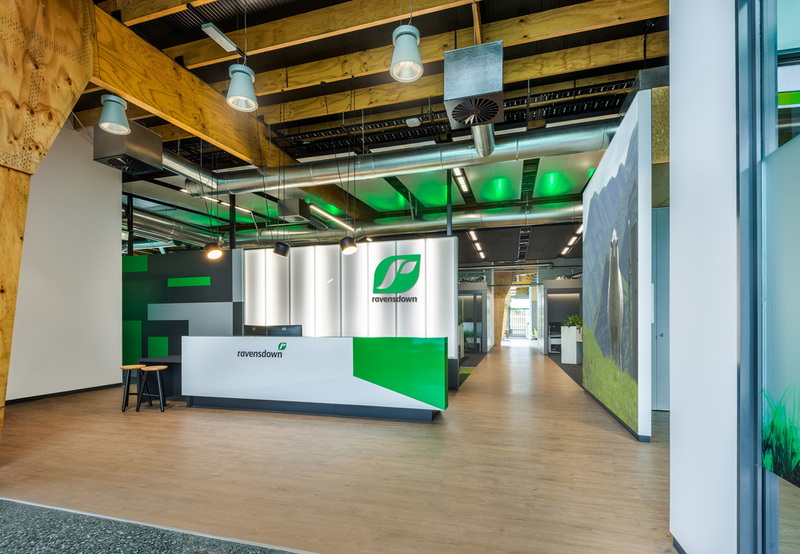 Here, farming imagery, and transluscent panels echo the coloured slatting to the exterior; a subtle reference to lush fields and grass – the heart of the business.